If you asked people to name the most important grains in the world, most would readily identify corn, wheat, and rice. However, at least in the U.S., people might not think to mention sorghum, and yet sorghum is the fifth most important cereal crop in the world–and the third most important in the U.S.
Sorghum has the great advantage of growing in hot, arid places that are not friendly to other grain crops. For millions of people in Asia and Africa who live in such climates, grain sorghum is a staple food. In these regions, sorghum, along with equally resilient millet, are often the only grains available. It is most commonly ground and made into porridge or breads. However, not all sorghum is the same. While some sorghum is grown for its grain, sweet sorghum is, like sugarcane, grown primarily for the sweet syrup that can be obtained by crushing its juicy stalks. 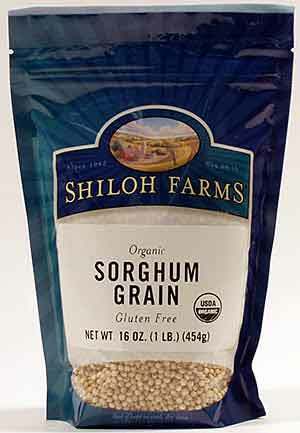 Sweet sorghum also has grain, but the grains are smaller. It appears that sorghum was first domesticated in western Africa, in the savannah just south of the Sahara, about 7,000 years ago. Trade and migration took it eastward, and by about 2000 B.C., it spanned the continent. Africa is still a leading grower and consumer of sorghum. There is some debate as to whether the sorghum that appeared later in India and China was introduced or was independently domesticated. However, there is much evidence that India and Africa were trading early on, so introduction is a distinct possibility. Grain sorghum is also known as milo, and it is grown extensively in areas that are hot and dry, including large swaths of the Great Plains in the U.S. Most grain sorghum in the U.S. is used to feed livestock, though some is used to produce ethanol—and because it’s gluten free, it is also gaining some market share as a cooking grain and flour, as well as for brewing gluten-free beer. Sweet sorghum is still grown across the American South, where sorghum syrup was once a nearly ubiquitous sweetener. By the mid-1800s, most towns in the south-central region had mills for processing sweet sorghum. Sorghum boils were once as common in the South as “maple syrup boils” were in New England. 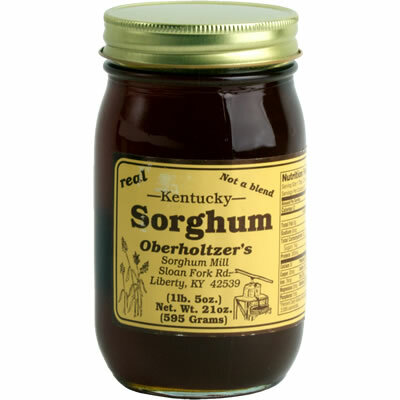 While sorghum syrup was displaced in the early 1900s, when granulated sugar became widely available, it is still being produced. If one lives in the North, sorghum syrup is most likely to be found at specialty shops or places that carry natural sweeteners, such as Whole Foods. It can also be found online. Like molasses, sorghum offers better nutrition than white sugar. Also like molasses, it is less sweet and has a distinctive flavor. Sorghum syrup is slightly less thick than molasses, however. Because of its greater nutritional density, it can spoil. While an unopened tin or jar can last for a considerable time on a shelf, once the container is opened, the sorghum syrup (and molasses, as well) should be refrigerated, and should probably be consumed within a couple of months of being opened.